I think I need to apologize to you for a seeming case of extreme neglect. No posts in October or November. I don't know what I was thinking. (Actually I do! Merger = New University, new employer, lots of marking, writing a new unit and children who keep using up all the internet bandwidth). I have however still been knitting, creating lots of new content. So let's play catch up again shall we? It's well past time I shared what I've been doing. I'll admit I'm a novice when it comes to designing. Oh, I'm an accomplished knitter with 30+ years of experience. 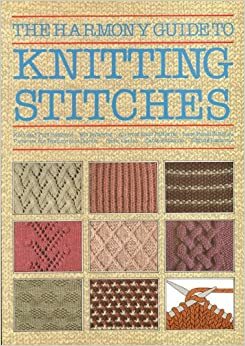 I'm happy to turn my needles to all manner of complicated stitch patterns, cables and lace, intarsia, fairisle and colour-work. I'm as happy with four needles as two. But I still have my L plates when it comes to designing. I've dabbled a little in this this design thing before (see Owls are the New Elephants and Happy Birthday Louise - I made you a hat! for example). But it's been small steps so far. I understand the mathematics of gauge and stitch count (after all I'm a mathematics lecturer in my day job). But I've been chiefly designing by adapting existing patterns to fit another purpose or creating knitted pieces to fit a paper pattern. I haven't ever really created an entire garment to order before but that's what a persistent request from Mel, my middle daughter made me try to do. Mel wanted a cable jumper for her trip to Europe at Christmas time. She wanted something very specific, a simple, elegant, classy aran jumper, modern but with a nod to traditional forms. No bobbles, not too intricately pattered, squishy cables. So began a design collaboration. First Mel created a Pinterest mood board with pictures of the type of jumper she was dreaming of. 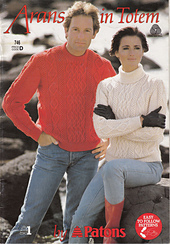 I started by hunting through old knitting pattern books in op shops. I was looking for 1970s or 80s classic cable jumpers. We discussed shapes and sleeve types - raglan versus set in sleeves. Did she want a high neck, V-neck or polo neck? We looked at edges and cuffs, single rib versus double rib. I found an old pattern book to use for the basic sizing and measurements (Arans in Totem - by Patons - Book 746). We took a road trip to Spotlight and exhaustively hunted the yarn aisles. Mel picked the colour - non traditional but not something which would date too quickly. A colour that fitted with her wardrobe and flattered her skin tone. After all she saw this as a serious investment in a unique wardrobe classic. I directed her towards pure wool and 8 ply. I swatched a little to make sure I had gauge. We began with a sleeve. (On a train). A deep 2 by 2 rib cuff long enough to fold over or cover her hands in cold European winters. "Is this long enough yet?" "No, a bit longer." Consultation back and forth across the train aisle. Two broad 12 stitch cables winding their way up the length lightly edged in purl for definition. Cables on a knit background so they almost melt into the fabric. Loosely twisted every 20 rows or so. Raglan shaping for the sleeve caps. The front and back continue the same cables as the sleeves but three instead of two this time bordered by a panel of stocking stitch. At the edge a raised cable on a reverse stocking stitch (Purl) background. The pattern I used for this cable is the Medallion Moss Cable from The Harmony Guide to Knitting Stitches. Pattern: Adapted from Arans in Totem by Patons Book 746 Pattern number 2 His / Hers Jumper with round neck and fashioned raglan armholes. Used size 10 stitch counts and shaping. Needles: 3.25 mm for ribbing and 4 mm for body, 4mm cable needle. I'm really proud of how this turned out. It's just what the daughter wanted. It fits like it was made for her. All the mods came together perfectly to actually fulfill the plan! Reality meets vision. And it was pretty cruisy knit for an allover cable jumper with cable rows only about every 14 to 18 rows. It's currently touring through Europe and I'm waiting to see the photos it comes come with.